After a month-long teaser campaign, Karma has revealed the all-new 2020 Revero hybrid sedan at the Shanghai Auto Show. While the first-generation Revero was only launched in 2016, it was based on the original Fisker Karma that went on sale way back in 2011 that was criticized for its high price and poor reliability, so an update has been long overdue. As the teaser images suggested, the new Revero has an evolutionary design with new headlights and taillights. Otherwise, the overall design doesn’t look drastically different from the last Revero, but customers will have a lot more customization options as previewed by the one-off Karma Revero Black Ocean Limited Edition. The luxury sedan uses a turbocharged 1.5-liter three-cylinder engine developed by BMW to power the on-board electric generator and enhance the performance. As a result, Karma’s "world-class electric drive system” with dual electric motors now delivers a combined output of 535 horsepower, up from 403 hp in its predecessor, and 550 lb-ft of torque. 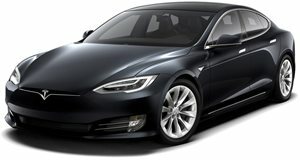 That’s enough electric power to enable the luxury sedan to sprint from 0-62 mph in 4.5 seconds, which is 0.9 seconds faster than the car it replaces, before reaching an electronically limited top speed of 125 mph. A future performance version called the Revero GTS will reduce the sprint time to only 3.9 seconds. The new 28-kWh battery pack provides an EPA-rated range of 61 miles up in electric mode – that’s nearly double the range of its predecessor, which could only last 37 miles on a single charge in electric mode. The smaller BMW engine and the newly developed battery pack have also lowered the curb weight from 5,407 pounds down to 5,050 pounds in the new Revero GT. The 2020 Karma Revero GT will be built at company’s assembly plant in Moreno Valley, California, with sales slated to start in the second half of 2019 before customer deliveries kick off in Q4 2019. Pricing hasn’t been released, but it’s expected to cost around the same as the outgoing $135,000 Revero. In addition to the new Revero GT, Karma has also unveiled two new concept cars at Shanghai. As the name suggests, the Karma Pininfarina GT coupe is the first result of a partnership with Italian design house Pininfarina, which suggests we can expect future collaborations with the two companies. It’s based on the new 2020 Revero GT dressed in a sporty new body that offers "an alternative design interpretation," with a longer hood and a shorter rear overhang. Every exterior panel has a new shape, and the interior is also new. The Karma SC1 Vision Concept, on the other hand, is a futuristic, Tesla-rivaling fully electric roadster with scissor doors that previews Karma’s future design language and electrification plans. It also previews Karma’s future interior technology, featuring a new infotainment architecture with 5G connectivity as well as a "humanized communication system”, which integrates touch, voice, eye, and graphical interfaces to enable seamless interaction with the roadster.